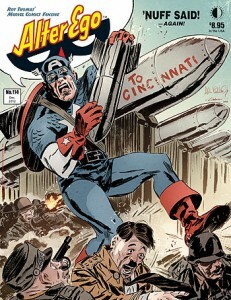 Alter Ego #114 ships today! 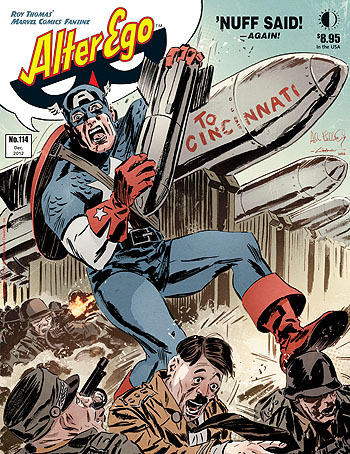 Our buddy Allen Bellman did the cover of AE #114, and it’s a doozy! Inside you’ll find FULL-COLOR page after page concentrating on Captain America and Fantastic Four, including an interview with Golden Age Timely writer/artist DON RICO, plus the usual AE goodness. You can order and see a preview HERE! This entry was posted in TNT on 12 December 2012 by Mr. Morrow.